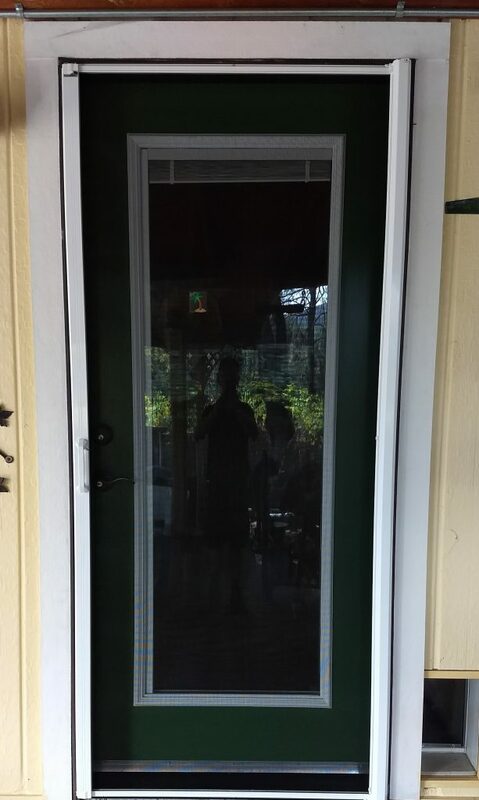 If you need a screen door but don’t have the right door jamb to fit it, what do you do? A possible answer might be a retractable, or “invisible” door. 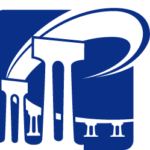 There are a number of manufacturers who make these, but all operate in a similar manner. Think of a retractable window shade, put on its side but made of window screen material. The door has a cartridge on one side that the screen rolls into, and a pull bar that you use to open and close the door. Typically the pull bar is held in place by magnets, though some models feature a push button handle that releases the bar and allows you to retract the door. There are many brands on the market – but beware the ones that sound too cheap (they usually are – and rarely work well or last long). A good quality door has a single solid track on the top and bottom of the frame (no brushes that trap dirt or “U” channels that don’t hold the bar in place), material that rolls smoothly into the cassette (no accordion folds that wear out quickly), no strings that hold the screen in place or counter-balance the pull bar (again, these wear out quickly) and feel solid and smooth from the initial installation. A good installer will custom fit the door to your opening – both height and width, as well as installing any molding or sill adapters that are needed – and guarantee the parts and labor for at least a year (Screenmobile guarantees our installations for two years). A good manufacturer will guarantee the parts for life – and put their name on the door (look on the handle for this). We’ve done installations for a variety of situations – in historic homes where the homeowner cannot change the look of the door opening, in close situations where we could not fit a standard swinging door, for front doors where you don’t want to have an obvious swinging door obscuring a nice solid door or for odd primary door openings (where you have the main door or doors swing out – rather than in – and can’t put a screen door that swings in). 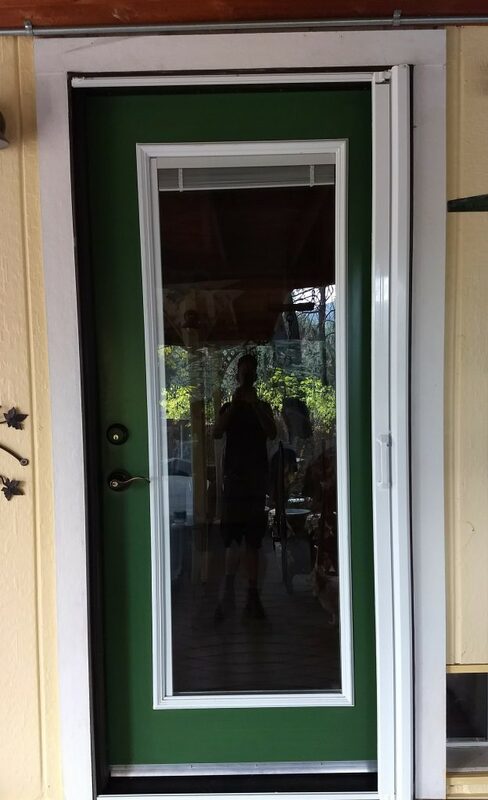 Retractable doors work great for french door situations – you can keep the stationary side in place and use the active door side to enter and exit, keeping you protected from bugs but with no visible screen in the opening. Retractable doors are not recommended for a house with pets who like to come and go, or for small children who need to be kept inside, as they will open if they are pushed against (a safety feature for both the door and the person or animal). That said, most other applications can have a retractable door or doors installed that will work as well or better than a swinging screen door and look great! 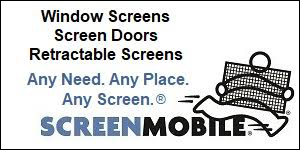 Contact Screenmobile for more details or pricing.